Before going into a casino and starting to play roulette, it is important to understand the basics of the game, as well as the differences between different types of roulette. Thanks to this knowledge, you are able to make good decisions before sitting down at a roulette table, and most importantly, while playing the game. In this article, I will go over the basic types of roulette and take a closer look at the roulette wheel layout and roulette table layout. If you don’t know the basics of roulette, you should also read my article about roulette rules and odds. 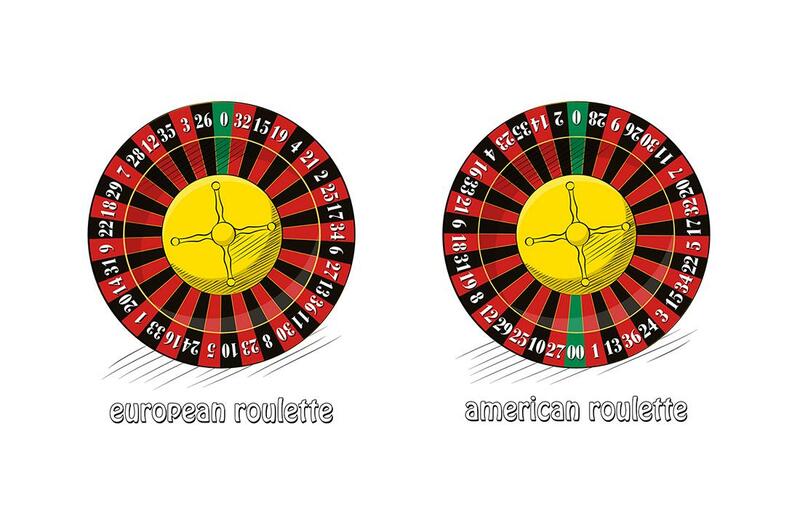 The games of American, European and French roulette are very similar. All of them are played by spinning a roulette wheel, with a small metal ball and players betting on the outcome of the spin. However, there are differences between the different versions of roulette that are definitely worth mentioning. European and French roulette uses a single zero roulette wheel that has numbers from 1 to 36 and 0. American roulette uses a double zero roulette wheel that has numbers from 1 to 36, 0 and 00. Of course, the table layout is also different, but only slightly. It’s almost the same, with the only difference being the 00 section on the American roulette table layout. The only other difference might be in the language of the text on the roulette table layout. The table layout in French roulette is basically always in French, regardless of the country the game is played in. The fact that single zero roulette has only 37 numbers in total (1 less than double zero roulette), while the payout ratios remain the same, makes it clear that the RTP of American roulette is worse for the player. European and French roulette are much better in this regard, because they have a higher RTP and therefore lower house edge. The RTP of European roulette is 97.3 %, while the RTP of American roulette is only 94,74 %. Therefore, it’s easy to say that European roulette is much better for the player. If you have a choice, always opt to play European (or French) roulette. Apart from that, the games are pretty much the same. 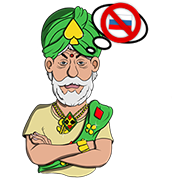 There are some differences in bets on single and double zero roulette which exist because of the one extra number (00) in American roulette. There is a special bet called "top line" in American roulette, which covers the numbers 0, 00, 1, 2 and 3, while the bets called "trio" (0-1-2 or 0-2-3) and "basket" (0-1-2-3) are only available on European and French roulette tables. On top of that, French roulette is generally played with a rule called "La Partage", which further changes the RTP of certain bets. There are other rules like this that change the way roulette is played, or at least the payouts given to the player for certain bets. As you probably already noticed, I described these differences only extremely briefly. That’s because I’ve written a comprehensive article about roulette rules and odds, which will help you develop a deeper understanding of the game. Feel free to read it here: Roulette Rules and Odds – Bets, Payouts & Probabilities Explained. 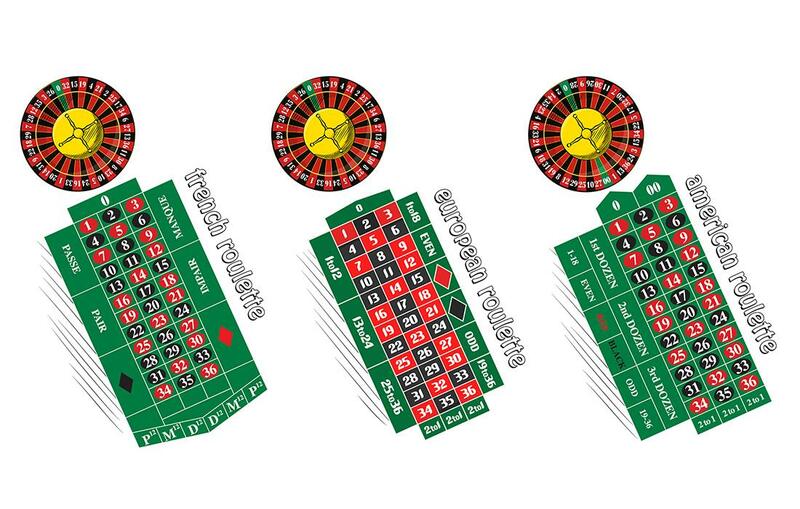 The layout of the roulette wheel is one of the most important aspects of the game. It contains all of the numbers players can bet on. The numbers on the roulette wheel are not in ascending nor descending order, and, they are not randomly ordered either. The roulette wheel layout has its purpose. Red and black numbers alternate. On both single zero and double zero roulette wheels there are no two red pockets or two black pockets next to each other. High (19-36) and low (1-18) numbers alternate as much as possible. On the single zero roulette wheel, this is done almost to perfection. There are only two numbers that break this rule – 5 and 10 (two low numbers) are next to each other. The double zero roulette wheel is much less balanced in this respect. Even and odd numbers are also distributed quite evenly. They don’t necessarily alternate, but there are at most two even or two odd numbers next to each other on the roulette wheel. The sequence of numbers is difficult to understand. The wheel layout is quite confusing. It’s difficult to just look at it and find sectors of the wheel with some kind of bias. As you can probably already tell, the two roulette wheel layouts are not equally balanced. The single zero roulette wheel that is used for European and French roulette is much more balanced than the double zero roulette wheel used for American roulette, especially when it comes to the alternating distribution of high and low numbers. The roulette wheel layout can also be important in the game. There are certain bets that use different sectors of the roulette wheel to determine which numbers to bet. These bets are also called announced bets, and are available mostly on European and French roulette tables. European and French roulette is played with a single zero roulette wheel. This wheel has 37 numbered slots in total, occupied by the numbers from 1 to 36 (red or black colors) and the number 0 (green color). American roulette is played with a double zero roulette wheel. This wheel has 38 numbered slots in total, containing the numbers from 1 to 36 (red or black color) and the two green numbers 0 and 00. While the differences in roulette wheel layouts are quite important for the game, the differences between different roulette table layouts are minor, and have virtually no impact on the game itself. The American roulette table layout contains the number 00. This number, of course, cannot be found on any single zero roulette table. The layout of the betting sectors for outside bets might be slightly different. The sectors may be located in different positions, although there is always a sector for each of the outside bets. The French roulette table layout might be in French. The text on European and American roulette tables is generally in English, while the text on French roulette tables is in French. If the roulette game you play features announced bets, there might be another part of the roulette table layout, the so-called racetrack. This is a representation of the roulette wheel number sequence, with a sector for each of the announced bets. The betting area known as "racetrack" got its name because of its similarity to a racing circuit. The announced bets are generally placed directly on the roulette table after being announced by the player. The racetrack makes placing these bets simpler and also lets players know that they have the option to place them, as the announced bets are not available at every roulette table. Now that you know the differences between the single zero and double zero roulette table and wheel layouts, you should be able to pick the best roulette game in a casino and play roulette efficiently. European and French roulette is better for the player, as I explain in detail in my article about roulette odds. If you already have a deep understanding of roulette and you want to take your game to another level, feel free to check out my roulette strategies that are aimed at increasing your chances of leaving the casino with a win, while also preserving the fun and excitement you can experience at the roulette table.